If you’re looking for a Pay Monthly handset from EE, there are two types of price plan you’re able to choose from. EE’s flagship 4G tariff is known as EE Max. Starting from £30/month, EE Max gives you the fastest download speeds available and a data allowance of up to 100GB per month. Customers with an EE Max price plan will also get inclusive roaming in Europe, Australia, Canada, Mexico, New Zealand and the USA plus inclusive access to the BT Sport app for the duration of your contract. If you’re looking for a lower-cost alternative, EE’s cheaper price plan is known as EE Essential. With EE Essential, you’ll get a smaller data allowance (up to 30GB per month) and access to EE’s double-speed 4G network (up to 60Mbit/s). You’ll get inclusive roaming in Europe, but at “slower than UK” speeds, and a 3-month free trial of the BT Sport app. In this article, we’ll take an in-depth look at the EE Max and EE Essential plans, comparing the features available on each one. EE’s SIM-only plans are no longer designated as “Max” or “Essential”. However, in terms of the data speeds available (up to 60Mbit/s) and the inclusive roaming (only in Europe), the SIM-only plans have a similar feature set to “Essential” price plans. EE’s “fastest available download speeds” and inclusive roaming in five countries outside of Europe are therefore only available on 24-month EE Max handset plans. Customers on EE Max can access the 4G+ service that’s available in London and other major UK cities. One of the main differences between EE Max and EE Essential is the maximum download speed you’re able to obtain when connected to EE’s 4G network. The fastest download speeds are only available to customers with an EE Max price plan. In theory, you can get up to Category 9 LTE speeds with a compatible smartphone providing you live in a 4G+ coverage area (also known as 4.5G or LTE-Advanced). In theory, this can give you a maximum download speed of 450Mbps, but a more realistic figure advertised by EE is “up to 90Mbps”. You can check on EE’s website to see whether you’re living in a 4G+ coverage area. 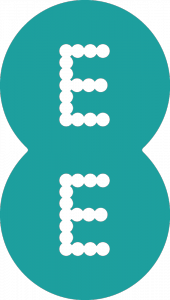 Customers on EE Essential will have access to double-speed 4G. This gives download speeds of up to 60Mbps (“as fast as fibre broadband” according to EE). This is a hard cap on the maximum download speed you can get, regardless of which network technologies are supported on your handset. In our opinion, the difference in download speed between EE Max and EE Essential only makes a very small difference to your experience on the network. As a benchmark, very few things actually require a download speed of more than 4-5Mbps. For instance, 5Mbps is already enough to stream services like iPlayer and Netflix in high-definition. The 60Mbps speed limit of EE Essential is therefore unlikely to make a major difference to your browsing experience. Our in-depth guide to mobile network download speeds explores this topic in more detail. If you’re an existing EE Essential customer, you can upgrade to EE Max for uncapped download speeds. Alternatively, you can add the £2/month Go Faster add-on to your plan. Since May 2017, all EE plans have included European roaming at no extra charge. When travelling inside the EU, you’ll be able to use your inclusive minutes, texts and internet as if you were in the UK. A fair usage policy of 15GB/month applies if your data plan contains more than 15GB of data. Customers on an EE Essential price plan will get “standard-speed roaming”. According to EE, this is “likely to be slower than in the UK but fast enough to use your phone as you normally would, including streaming music and standard definition video”. Customers on an EE Max price plan will get the “fastest available speeds” when abroad. It’ll also be possible to use your UK allowances at no extra charge in 5 countries outside of Europe (Australia, Canada, Mexico, New Zealand and the USA). Roaming countries included: Austria, Azores, Belgium, Bulgaria, Croatia, Cyprus, Czech Republic, Canary Islands, Denmark, Estonia, Finland, France, French Guyana, Germany, Gibraltar, Greece, Guadeloupe, Guernsey, Hungary, Iceland, Ireland, Isle of Man, Italy, Jersey, Latvia, Liechtenstein, Lithuania, Luxembourg, Madeira, Malta, Martinique, Mayotte, Monaco, Netherlands, Norway, Poland, Portugal, Reunion Islands, Romania, San Marino, Saint Martin (French), Saint Barthelemy, Slovakia, Slovenia, Spain, Sweden, Switzerland and Vatican City (Italy). Customers who regularly travel abroad to countries like Australia and the USA may also wish to consider Three’s Go Roam offer as an alternative. If you’re an existing customer on EE Essential, you can get inclusive roaming in Australia, Canada, Mexico, New Zealand and the USA by upgrading to an EE Max price plan. Alternatively, you can buy the £10/month Go Further add-on (a minimum six-month commitment applies to this add-on). For customers choosing EE Max, there’s an inclusive subscription to the BT Sport app for the duration of your contract (i.e. for the full 24 months of your contract). You’ll also get a 3-month free trial of casting BT Sport to your TV (an Apple TV or Google Chromecast is required for this functionality). After the first 3 months, it’ll cost £10/month if you’d like to maintain casting capabilities. 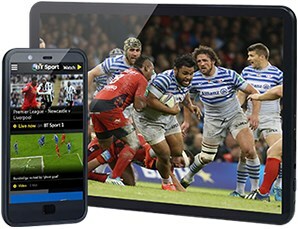 For customers on EE Essential, there’s a 3-month free trial of the BT Sport app with casting. After your initial three months, you’ll need to pay £5/month if you’d like ongoing access to the BT Sport app, and a further £10/month if you’d like to maintain casting capabilities. The BT Sport app allows you to watch BT Sport 1, BT Sport 2, BT Sport 3 and ESPN on your EE smartphone. You’ll be able to watch live games from the Barclays Premier League, UEFA Champions League and UEFA Europa League. There is also a range of other sporting action including Aviva Premiership Rugby, Moto GP, UFC and more. The basic subscription only covers you to watch BT Sport on your smartphone. You’ll need the £10/month Casting add-on to cover watching BT Sport on your television via an Apple TV or Google Chromecast. Customers with the casting add-on can watch BT Sport without using their data allowance. For more information, see the BT Sport FAQs on EE’s website. 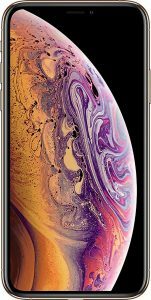 If you choose an eligible EE Max plan and a flagship smartphone from Apple, Samsung or Google, you might be eligible for EE’s annual upgrade offer. With the offer, you’ll be able to trade-in your handset after 12 months to upgrade to a newer version. EE will waive any early termination fees but you’ll need to commit for another 24 months when upgrading your handset. Your new plan must also cost either the same or more each month. There may be an upfront charge to get your new handset. If your old device is damaged when you trade it in, a charge of at least £100 will be made. There is also a charge of between £240 and £480 if you don’t have an old device to trade-in. Remember, it’s also possible to upgrade your handset at any time by purchasing an unlocked smartphone outside of your contract. On EE, almost all smartphones are now offered on a choice of either EE Max or EE Essential price plans. For a full list of available handsets and tariffs, please see the EE website. EE has 99% population coverage, including on 2G, 3G and 4G. At present, this is the widest 4G coverage of any UK mobile network. For faster download speeds, EE’s double-speed 4G network currently offers about 80% population coverage. 4G+ or LTE-Advanced is available to EE Max customers in London and some other major urban areas. 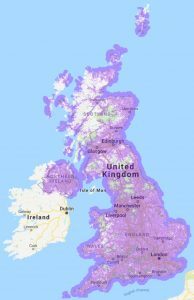 Before ordering your handset from EE, you should enter your postcode on EE’s online coverage map to see the level of 4G coverage available in your area. If you’re not able to access 4G+ coverage in your area, it might not make sense to pay a premium for this service. Both EE Max and EE Essential customers can access 4G Calling and Wi-Fi Calling with a compatible handset. 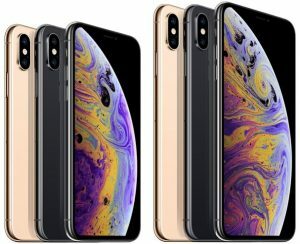 Both types of price plan also support tethering, allowing you to share a mobile broadband connection with other devices. 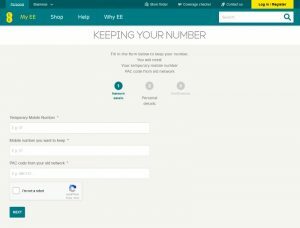 If you’re joining EE from another mobile network, it’s a straightforward process to keep your existing phone number. You should start by ordering your new phone or SIM card from EE’s website. Once you’ve done that, contact your old mobile network and ask them for a PAC Code. A PAC Code is nine-digits long and will authorise the transfer of your phone number to EE. After your new mobile phone arrives from EE, head over to this online form. Here, you can enter your PAC Code and submit it to EE. Once you’ve done this, your phone number transfer will normally be scheduled for the next working day. For more information about EE’s pricing and available deals, please see their official website. Yes, you can tether abroad when you’re travelling in Europe with EE Essential. Thank you very much Ken. You are the best! Thanks for your comment. 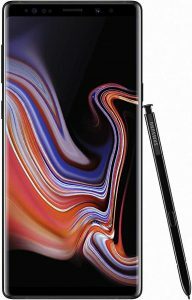 I believe the price bands for EE Essential and EE Max differ depending on the handset you choose. For this reason, you could still be on an Essential contract when purchasing certain handsets on a fairly expensive plan! The Galaxy S9 is a flagship handset, so it’s definitely the case that even EE Essential plans will have a fairly high monthly fee! Hi, you state here that ‘Customers on EE Essential will have access to double-speed 4G…..’. I have just spoken with EE and they say that isn’t the case. Double speed 4G (up to 60Mbps) is reserved for 4GEE plans, not 4GEE Essential which is only a max 20Mbps. They also mention 4GEE Max is up to 90Mbps if you are in the right city area. 4GEE Essential roaming speed is hopeless and has been highlighted on SuperShoppers (TV Show) this year. I have tried to use in the past in Spain and couldn’t even download a simple new app – it was taking hours!! EE announced that they would lift this restriction (which is called ‘standard 4G’ abroad) but I spoke with a friend yesterday in Marbella who has an Essential SIM and he confirms the DL speed is not useable, so either they are lying about the ‘upgrade’ for roaming or it just isn’t deployed in Spain. 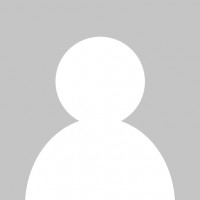 Incidentally I use a 4GEE plan I find UK & roaming speeds OK and would recommend but of course people buy the Essential plans because it seems to offer a lot for the price, but beware – it just doesn’t……. Thanks for your comment. In the past, it definitely used to be the case that EE would restrict ‘4GEE Essential’ plan customers to a maximum speed of 20Mbps. When EE decided to “simplify” their tariffs a while back, this was increased to 60Mbps on the newer ‘EE Essential’ plans (previously they used to have three tiers of tariff capped at 20Mbps, 60Mbps and uncapped speeds – they now have 60Mbps and uncapped speeds). I’m not sure if customers on the older ‘4GEE Essential’ plans were given the increase in speed, or if this was only given to new customers who joined after the refresh. 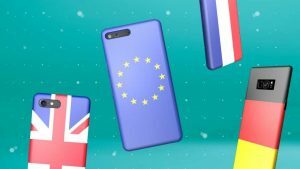 Unfortunately, the EE Essential plan doesn’t come with inclusive roaming in the US, so she’ll need to pay EE’s standard international roaming rates. To save a little bit of money, it might be worth having a look at the best SIM cards for usage in the USA. I believe EE does offer up to 60GB per month (and occasionally, up to 100GB if you purchase selected handsets). As an alternative, if you do need just 5GB extra each month, it might be worth having a look at EE home broadband (this will give you an extra 5GB of data every month on your EE mobile phone plan). My sim only Max plan is almost at the end of it’s contract and I went into an EE shop to enquire if they had any better deal to offer (I like the Max plan as it offers five added countries as well as EU roaming). I was told that the Max plan offering five extra countries had been discontinued, although this does not seem to be the case on EE’s website. Is this true? 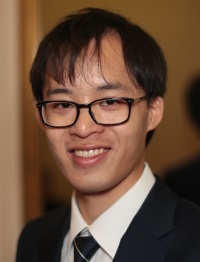 Many thanks for your comment. Yes, unfortunately, the Max plan was discontinued for SIM only tariffs on the 7th February 2018. All of EE’s SIM Only plans now map on to EE Essentials in terms of their feature set (e.g. up to 60Mbps download speed, free EU roaming only, etc). If you want the added speed and inclusive roaming of EE Extra, you’ll now need to buy a handset on a 24-month plan. Thanks for explaining that. Very helpful. The simple answer, then, is to keep the sim on a rollover basis and get all the benefits of roaming in five extra countries and higher speeds etc until EE come up with a better offer. Thanks again. I am a frequent traveller to Europe and the USA. I became frustrated with Three’s feel at home as it restricts you to only a 3g service in the states. It’s shamefully slow and unreliable on either Tmobile or At&t. I recently took advantage of an offer from EE for a 4GEE max contract costing me £26 a month. Sim only. I am currently in the USA reading your article and I’m pleased to say that I am obtaining 4G coverage almost everywhere I go. The phone truly works as well it is it does back in the UK. Many thanks for your feedback using 4GEE Max in the USA, and really glad it’s working better for you than Feel At Home!